Foots was a member of First Baptist Church Gallatin. He was the operations manager and traveled with the Oak Ridge Boys for over 20 years. 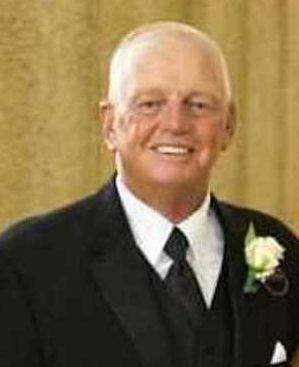 When he wasn’t working, he enjoyed playing golf, cheering on the Kentucky Wildcats, and taking care of his wife, Janet. They were married on August 19, 1977 and were married for 41 years. Foots is survived by his loving wife, Janet Adams Watkins; daughter, Kara (Justin) Owen; siblings, Phyllis (Steve) Kidwell, David (Bobbie) Watkins, Linda (Jerry) Neuner, Sandy Reinert, Barbara (Kevin) O’Donnell, Cheryl (Mark) Hancock, Sheila Adams, Gene (Christina) Adams, and Jane (Tim) Sharp. Foots is also survived by numerous aunts, uncles, nieces and nephews, and grand dog, Henry. A life celebration will be held 3pm, Wednesday, April 17, 2019 in the chapel of Hendersonville Funeral Home. Family will receive friends from 12-3pm prior to the service. Hendersonville Memory Gardens, Funeral Home, and Cremation Center are in charge of arrangements. 353 East Main Street, Hendersonville TN 37075. In lieu of flower donations may be made to the charity of your choice. Janet, We are so sorry about Danny. Such a shock for all of us. Just know that we love you and are here for you any time. Danny was such a nice guy and we will miss him. You two had a wonderful marriage and some great times together. You have so many friends that love you and will do anything for you. My HEART is broken as I have lost part of me. Foots is Truly my Life Long Buddy and that is so very hard to find!! As the saying goes Foots is my Brother from another Mother. His Family is My Family. As I reflect back on all the time we spent together playing basketball, golfing, and sharing his Family with me back in Centerfield,Ky–He truly Blessed my life!! He called me yesterday morning to talk about the Masters Golf Tournament and yes we talked about Kentucky Basketball as we always did–I am so blessed to have that conversation embedded in my memory as I will carry it with me. Their are so many memories it would be like having a conversation with Foots it will last with me forever. If you are a Sports Fan and you have seen the movie “Brian’s Song” then so know what Danny “Foots” Watkins means to ME. I LOVE DANNY “FOOTS” WATKINS. JANET & KARA I LOVE YOU GUYS and I am so sorry. DAVID/BOBBIE–PHYLLIS/STEVE–LINDA/JERRY-SANDY–BARBARA–CHERYL–I LOVE YOU ALL and I am so sorry. Danny Boy, oh how we will miss you! Especially the great stories you always shared. Like the ones we’d kiddingly say “Hey Foots, has this story got an ending?” We loved you and Janet. We cherish the Great memories of our times together. Ray and Barbara Baker. Janet and Kara, my heart goes out to you both. Danny was a great guy and we shared so many years together with the Oaks that I remember so fondly. He loved you two so very much that I can literally hear him say your names in my mind as he said them so often talking about you both. I hope all the love poring in to you helps just a little. God bless you both. I will miss Foots every day. He was my best friend on this planet… Janet and Kara please know that he loved U two more than life. My prayers are with U two and all the family. Oh how we will miss Foots!! What a great man. Our prayers are with you all; may God comfort you in this unbelievably difficult time. We love you!! My heart is so heavy. You were more like a brother than my in-law. I know Mike was one of many family and friends to greet you at the gate. We will always cherish the fun times together at “The Adams Resort”. I thought the world of Foots, He was a great friend and a jewel to work wit. I know he loved his family. He will be missed. Prayers from the family. My second dad. The other man who raised me with unconditional love. I still remember his teachings on why I need to make my bed every day (and I still do!). His hugs were the BEST and his laugh was contagious. Forever in my memories and always in my heart. I love you Janet and Karabeth. Janet , I was sorry to hear of the passing of “Foots” yesterday. Terry Ree called me and informed me last night. Foots has always kept in touch with me over the many years of our friendship. I still hold your and Danny’s visit to St Petersburg to visit me and our playing Golf together as one of my best memories of our friendship..I wish I was well enough to join You and Kara for the celebration of life in Hendersonville but due to my health issues ,I am unable to do so.. Please accept my deepest sympathy for the loss of a great man who meant so much to so many!!!! Words can’t easily express the shock and emotion felt when the news of Foots’ untimely passing came. Foots had the most unique idiosyncrasies I can remember in one person. Things about him one will never be able to forget; those that know he was the “hide and seek” champion of Kentucky will laugh about that forever. He was a character, a husband, a father, and a friend to all that knew him. He will be missed! God bless his family. So glad we got to see you guys last summer at the cabin. He will surely be missed by his family and friends. So sorry for your loss. Prayers and hugs. Janet and Kara my heart is broken for you. What a wonderful husband and father. You all shared such wonderful memories together. May those beautiful memories help you as you deal with this loss. I love you and your family. My prayers are for you. Danny was such a wonderful man. I remember Foots so very fondly from the Oaks days. He was aleays so very kind to our girls. Ironically Scott passed away suddenly on 4/14/17. My heart is with your family. Janet and family, my heart aches for you. I am so sorry for your loss. If I may, I would like to pray for you and your family. Heavenly Father, please be with Janet and her family during this time. Father, we know you have welcomed this great man into Your kingdom where he will now forever be watching and guiding from above, always there to listen. Father, even though this is a very sad time and we may struggle with the days ahead, I pray You provide peace and comfort Father God to Janet and her family. Father, wrap them, surround them with your love Father. For one day, we know we will be reunited in Your kingdom. Amen. Janet, I wish I had the words to comfort you. I will continue to pray for you and your family. I’m so sorry to hear about Danny. My thoughts and prayers are with you during this difficult time. To this day when I think about Danny I envision him in that little sports car that he drove :). The common themes that are being expressed are shock, sorrow and impact. I am looking out my back yard at the golf course and remember Foots going by frequently. I will certainly miss that smiling face, and the positive impact he had on me and many others. He had that unique quality to enhance the lives of those that he spent time with; and that is an example that we should all learn from. God Blessed us with you Danny, and now you can keep watch over us. My heart breaks for Janet, Kara and all who loved and were close to Foots. He was such a GOOD friend and dear man. I cannot imagine the void left for those he loved so very much. May God bless and comfort you all. You will be in my prayers. Our love and deepest sympathy to you and your family. There are no words that convey how sorry we are. Danny was such a sweet man. We loved it when you would pull up in your golf cart and visit with us. He was always so happy, You are in our thoughts and prayers. We love you. I am so saddened to hear of Danny’s passing. He was a wonderful man. My deepest sympathies to his loving family and friends. Carolyn and I are just shocked and heartbroken for Janet and Kara. Danny and Janet have been our neighbors right next door for almost 20 years and we will miss our conversations with Danny and his quick and enthusiastic wave every time we saw him. I loved joking around with Danny and playing with Henry when their grand-dog stayed for a visit. All of our condolences to Janet and Kara and family. Danny will truly be missed. Janet, your friends at TAMHO are sending prayers to you and your family. You will continue to be in our thoughts. Deepest sympathy for the loss of your husband, best friend, and Kara’s Dad. You will stay in my thoughts and prayers. I’m so sorry to hear about Foots. Such a dear heart and a lovely gentleman, always smiling and kind. So sorry to hear about Danny. We know your heart is broken. Sending our love and prays to you and your family. Janet, please know that you and your family are in my thoughts and prayers as you deal with this loss. You have a team of folks across our great state lifting you up though this. Lots of fun times on the road with ORB, touring, long bus trips, and who could forget doing box office settlement, and counting deadwood and arguing with promoters at 2 o’clock in the morning ? Foots was always a “fair & square” businessman, and if a promoter did a good job, but had a bad night, he’d always give them a break/reduction to ease the pain. Definitely one of the “good guys” that are sorely missed in the business today……. Rest in Peace Foots, God will definitely honor your “All Access” backstage pass in heaven ! Our deepest condolences and prayers are with you and your family. Janet and Kara, James and myself were so shocked to hear about Danny (Foots) as James knew him by, and want you to know that we have you both in our thoughts and prayers. He was such a sweet soul and his love for you two was so special. I hope you can find some comfort in God’s promise that we will be reunited with those we love. What a glorious day that will be!! I am so sorry for your loss and words are inadequate at such a sad time. Please know Rody and I are praying for you, Kara and Justin, and your entire family and there are a legion of people who love you doing the same. Love and prayers for you and your family. RIP Foots. Prayers for the Watkins family. I know Danny will be missed. RIP friend. Janet, so sorry for your loss with Danny’s passing. Bill said at one time they played quite a bit of golf together. I know he will be missed by everyone that loved him. Our thoughts and prayers are with you and your family. Foots was the real thing. Always was one of the good guys. To and for his family he is in heaven I’m sure of that. Please have no doubt, I have none. God blessed me with a picture of my son going to heaven. I will share it with anyone who doubts theire is a heaven . Foots was the real thing. Always was one of the good guys. To and for his family he is in heaven I’m sure of that. Please have no doubt, I have none. God blessed me with a picture of my son going to heaven. I will share it with anyone who doubts there is a heaven .